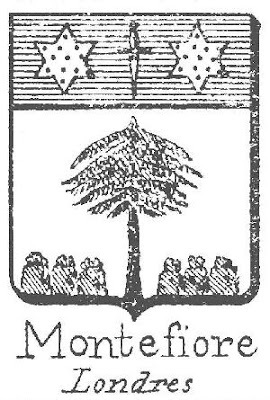 The Montefiore family like many English Sephardi families originally descended from Marrano families from Spain, Portugal, Mexico and others places. The Montefiore Family came to England in the 18th Century from Italy. 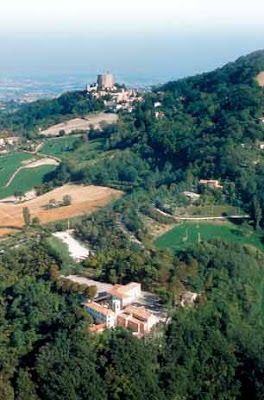 They took their name from the village of Montefiore in Italy. The first Montefiore was Judah Leon Montefiore the son of Joseph Leon who was from a converso family in Mexico. Joseph Leon's parents were Jorge Almeida and Leonor Nunes Leon de Carvajal the sister of Luis de Carvajal (Joseph Lombroso). Joseph escaped from Mexico in the 1590's with his Carvajal uncles. Judah Leon Montefiore married Rachel Olivietti and it is from them that the numerous lines of the Montefiore family descend. Many of the English Montefiore families descend from Moses Vita Montefiore who came from Italy to England. He and his wife Esther Hannah Racah had a large family of 17 children (who survived to adulthood). His most famous grandson was Sir Moses Montefiore. Other grandchildren were merchants, bankers and settlers in Australia and New Zealand and Barbados. His Barbadan grandson Joseph Barrow Montefiore was the founder and President of the Jewish Kehilla in Sydney, New South Wales. Joseph's brothers Jacob and Moses with him were influencial in the foundation of Adelaide and Perth and he also lived in Melbourne for a time. 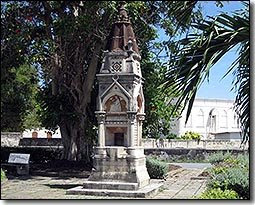 The Montefiore fountain in Bridgetown Barbados is named for his grandson John Castello Montefiore. John Castello Montefiore became an Anglican in 1810 in Barbados at age 20 but still seems to have been involved in the Jewish synagogue and Community in Barbados according to Jewish records. It is said that the family were influenced by the Methodist Hebrew Christian preacher Joseph Orton (Ortiz) when he was in Barbados. His son Thomas Law Montefiore became an Anglican vicar and theologian and had a large family. Their relative Elizabeth Ann Montefiore's daughter Sarah Ann Nunn (nee Wyeth) followed Joseph Ortiz (Orton) to Melbourne Australia where they were involved in a Methodist Hebrew Christian group and missionary work to the Aborigines. Elizabeth Ann Montefiore (b.1818) had married her relative Thomas Montefiore Wyeth and his brother John Montefiore Wyeth married Sarah Ann Montefiore (b.1815)daughter of Abraham Israel Montefiore. Elizabeth Ann Montefiore (Montefer)was the daughter of Horatio Joseph Montefiore and Sarah Nunn (Nunes)[1802-1819]. Sarah Nunn was his cousin whose parents had become Christians and changed their surname from Nunes to Nunn. Horatio kept his marriage to his Hebrew Christian cousin secret after he saw how his brother Abraham Montefiore had been cut off from the family and left to starve when he married his first wife Mary Hall. Horatio then had a child with Maria Golding in 1820. Horatio later married Sarah Mocatta in 1823 after the death of his secret first wife to the immense satisfaction of his family. Sir Moses Montefiore rewarded him for this marriage in the fold with land and property. Abraham had also returned to the good graces of his family when he married Henrietta Rothschild as his second wife. The Montefiore-Wyeth children were orphaned at a young age and were bought up by their Montefiore relatives in Barbados, Jamaica and England. Robert Montefiore Wyeth went to New Zealand in 1839. Sarah Ann Montefiore and Elizabeth Ann Montefiore have been confused with John Castello Montefiore's daughter Ann Montefiore (b.1819). Another cousin John Castello was a famous actor in the West Indies and also ran a newspaper. 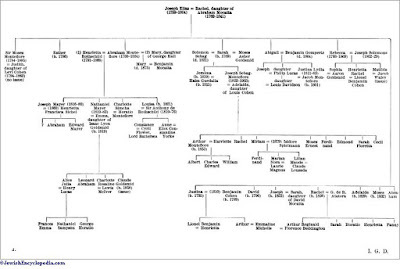 Other members of the family married into the Jacobite Catholic Walsh family of Barbados and Ireland who were in the shipping industry and descendants of James Walsh who supported the Royal Stuart family. The youngest of these sons, Emanuel Montefiore (b. 1842), became a lieutenant-colonel in the Royal Artillery, assistant secretary of the London Charity Organization Society, commandant of the Jewish Lads' Brigade, and a member of the council of the West London Reform Synagogue. Of the daughters of Joseph Montefiore the eldest, Sarah, married Solomon Sebag of London; she became the mother of Joseph Sebag, afterward Sir Joseph Sebag-Montefiore (1822-1903), who had three sons—Arthur (father of Robert Sebag-Montefiore), Cecil, and Edmund. 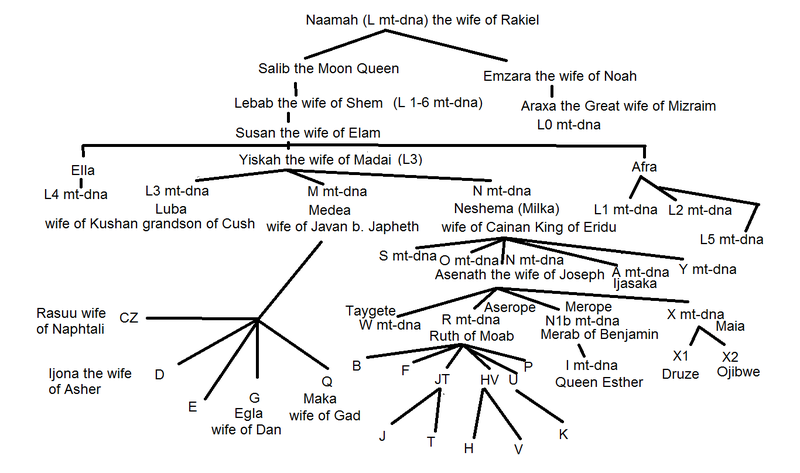 Sarah had also five daughters:Jemima (married Haim Guedalla), Esther (died prematurely), Abigail (wife of Benjamin Gompertz, the mathematician), Rebecca(married Joseph Salomons; brother of the late Sir David Salomons), and Justina (married Benjamin Cohen, father of Arthur Cohen and Lionel Benjamin Cohen)." "MIDDLE STREET SYNAGOGUE a part of Brighton’s History SIR MOSES MONTEFIORE Bart Jewish Broker. English philanthropist; born in Leghorn, Italy, Oct. 28, 1784; died at Ramsgate, England, July 25, 1885. Moses Hayyim Montefiore and his wife, both of Leghorn, settled in London in the middle of the eighteenth century. One of their seventeen children, Joseph Elias Montefiore, took his young wife, Rachel, daughter of Abraham Lumbroso de Mattos Mocatta, on a business journey to Leghorn, where their eldestchild, Moses, the subject of this article, was born. On their return they lived at Kennington, where Moses went to school and was apprenticed to a provision merchant. Later he entered a counting-house in the city of London, and ultimately became one of the twelve Jewish brokers then licensed by the city. His career was not entirely uncheckered by adversity. In 1806 he was deceived by a man whom he had trusted in a large transaction in Exchequer bills, and had to ask for time in which to settle certain obligations. This his high character and popularity enabled him to secure. His brother Abraham joined him in business; and they remained in partnership till 1816. Moses married (1812) Judith, daughter of Levi Barent Cohen. Levi Barent Cohen was an Ashkenazi, and it was a sign of indifference, on the part of the Montefiores, to current prejudice that,although they belonged to the London Sephardim, they married German Jewesses. Moses lived in New Court, close to his friend Rothschild; and the brothers Montefiore, as the brokers of that financial genius, became wealthy men. Moses was able to retire from the Stock Exchange in 1821; and in 1824 he assisted in founding the Alliance Assurance Company, of which he was the first president. Dignities. He was among the founders of the Imperial Continental Gas Association, which extended gaslighting to the principal European cities; and he was one of the original directors (1825) of the Provincial Bank of Ireland, which gained forhim the honorary freedom of Londonderry. For a short time he was also a director of the South Eastern Railway. In 1836 he was made a Fellow of the Royal Society; and in 1837 he was elected sheriff of the city of London, being the second Jew to fill that office (the first was Sir David Salomons). In the same year he was knighted by Queen Victoria on her accession. He had become acquainted with her in 1834, while she was staying at Broadstairs with her mother, the Duchess of Kent, to whom he had been able to show courtesy by placing at her disposal the secluded grounds of his house near that seaside resort. In 1846 he was created a baronet, and in 1847 became high sheriff for Kent. He was a deputy lieutenant and a magistrate in more than one jurisdiction. At an earlier period of his life (1810-1814)he had been captain in the Surrey local militia and practised assiduously the bugle calls and drill. In part he owed his stately bearing to these early days of military training. 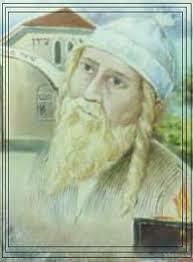 While Sir Moses was winning wealth and social distinction, he was living the life of a most pious and observant Jew. His diaries record his regular attendance at the synagogue, his scrupulous performance of the functions of a member of the ancient Society of Lavadores, which made it a sacred duty to perform the last rites for members of the synagogue; and they show also that under great difficulties he strictly complied with the dietary laws as well as with those which enjoin rest and forbid travel upon Sabbaths and festivals. In pursuance of inflexible principle, he resisted all attempts at congregational reform. The following is an account in his own language of his life in 1820: "With God's blessing, rise, say prayers at 7 o'clock. Breakfast at 9. Attend the Stock Exchange, if in London, 10. Dinner, 5. Read, write, and learn, if possible, Hebrew and French, 6. Read Bible and say prayers, 10. Then retire. Monday and Thursday mornings attend the Synagogue. Tuesday and Thursday evenings for visiting." "I attended," he says on another occasion, "many meetings at the City of London Tavern, also several charitable meetings at Bevis Marks, in connection with the Spanish and Portuguese Synagogue; sometimes passing the whole day there from ten in the morning till half-past eleven at night (Jan. 25, 1820), excepting two hours for dinner in the committee-room; answered inthe evening 350 petitions from poor women, and also made frequent visits to the Villa Real School." On one of his journeys (1840) Sir Moses obtained from the Sultan of Turkey a firman denouncing the inveterate charge of ritual murder brought against the Jews. Visits Morocco. He obtained promises of friendliness from two czars (1846 and 1872), crossed the desert of the Atlas and at the age of seventy-nine won for his brethren the favor of the Sultan of Morocco; made an unsuccessful journey to Rome to obtain the return to his parents of the boy Mortara (1858), and went to Rumania (1867), where he presented himself at an open window to a mob at the imminent risk of his life. It was at the age of seventy-six that he went to the office of the London "Times" after midnight, with a letter soliciting relief for the Christians of Syria. His own contribution was £200, and he collected over £20,000. His Popularity. The affection which his magnetic personality and his native goodness inspired can not be exaggerated. In Palestine his brethren flocked to kiss the hem of his garment. On his entering into his one hundredth year (Nov. 8, 1883) Queen Victoria, Albert Edward Prince of Wales, and many hundreds of his most distinguished fellow citizens sent telegrams of congratulation. The birthday was a public festival at Ramsgate, where he passed the evening of his days. Sir Moses was buried at Ramsgate, near the synagogue he had founded, side by side with his wife in the mausoleum which he had erected for the purpose, a reproduction of the building known as the Tomb of Rachel on the Bethlehem road. By his will (proved at £370,000) he directed the continuance of many and various charities, and among others added to the endowment of the Montefiore College and Library, Ramsgate, which he had first established in memory of his wife. The college is now devoted to a few learned men who spend their days in the study of the Law. For a time an institution for younger students was also maintained, but the trustees in lieu thereof make an annual subvention to Jews' College, London. Sir Moses Montefiore had no children; but the baronetcy was revived by the crown in favor of Francis Montefiore, grandson of Abraham, Sir Moses' brother and partner; while his seat at Ramsgate became by his will the property of Joseph Sebag (afterward Sir Joseph Sebag-Montefiore), son of Sir Moses' sister." "MONTEFIORE, JOSEPH BARROW (1803-1893), merchant and financier, was born on 24 June 1803 in London, the youngest son of Eliezer Montefiore, merchant, of Barbados and London, and his wife Judith, née Barrow. As a scion of a wealthy Sephardi family he was educated at Hurwitz's school at Highgate and at Garcia's academy at Peckham. On leaving school he was articled to a firm of London tea brokers, thus continuing in the tradition of the Montefiores of Barbados, who made their fortune in colonial trade. In 1826 he became one of the twelve 'Jew brokers' in the city of London, buying the privilege for £1500. 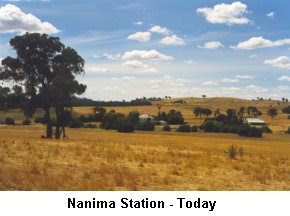 However, being young and enterprising and with a penchant for larger speculative ventures he decided in June 1828 to emigrate to New South Wales, where he proposed to invest some £10,000 in the wool industry and the cultivation of drugs; he applied for a grant of 5000 acres (2024 ha). Enterprising, urbane, and noted for his wit and prodigious memory, he was perhaps the outstanding representative in the Australian colonies of the richly endowed Sephardi merchants, financiers and scholars of London, the vanguard of Jewish expansion into a new world and of the Jewish emancipation movement in the old. He died on 8 September 1893 in Brighton leaving ten daughters and three sons." These are the children of Eliezer Montefiore [b.1761] and Judith Barrow of London and Barbados. 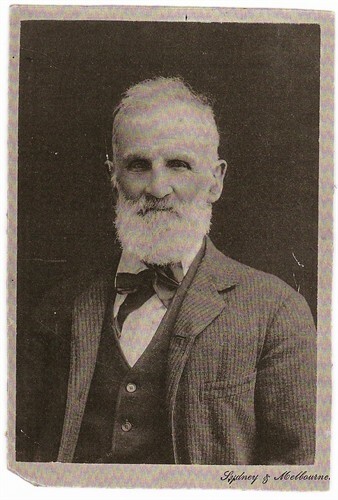 Thomas Montifiore [b.1825]who married Mary Maloney. Thomas' daughter Ann Montifiore married Robert Horton of New South Wales. The Australian Dictionary of Biography has an entry on Jacob Levi Montefiore. "MONTEFIORE, JACOB LEVI (1819-1885), merchant and financier, was born on 11 January 1819 at Bridgetown, Barbados, son of Isaac Levi and his wife Esther Hannah, née Montefiore; a member of a notable Sephardi family, she was a first cousin of Sir Moses Montefiore and connected to the Rothschilds by marriage. 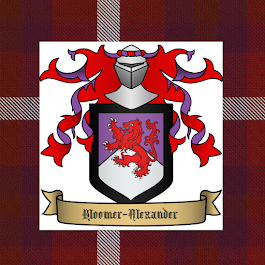 Jacob and his brothers adopted the name of Montefiore. After his father died in 1837 Jacob decided to join his uncle, J. B. Montefiore, in New South Wales and reached Sydney in the Lord William Bentinck in October. Jacob soon started trading on his own account. Well educated, he wrote plays including The Duel which he translated from the French; it was performed at the Theatre Royal in 1843. His operatic libretto, John of Austria, was set to music by Isaac Nathan and performed in 1847. In 1844 he visited England and on his return in 1845 became a partner of the wealthy Scot, Robert Graham. 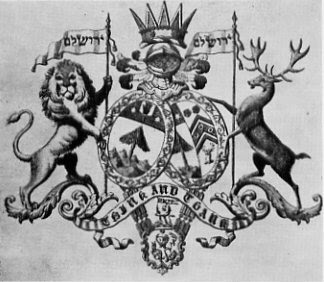 Montefiore, Graham & Co. soon opened a branch in Brisbane and in 1849 another in Melbourne where Jacob's brother Eliezer took charge. The firm also acquired a total of 270,000 acres (109,266 ha) of leasehold in the districts of Gwydir, New England, Moreton Bay, Wellington and in 1855 George Mocatta's runs in the Burnett; they were all transferred to Montefiore in 1861 when the partnership was dissolved. Fascinated by political economy, Montefiore in 1853 was chairman of the committee which opposed Wentworth's constitution, thereby becoming a lifelong friend and sometimes creditor of Henry Parkes. In May 1856 Montefiore was nominated to the Legislative Council. In his pamphlet, A Few Words upon the Finance of New South Wales, addressed to the members of the First Parliament, he advocated a tax on unproductive land to encourage farming, reduce land speculation and provide revenue; he also recommended a central or national bank and a railway from Sydney to Melbourne. 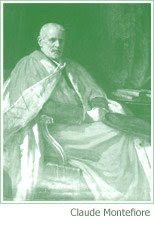 In 1861 he published Catechism of the Rudiments of Political Economy, 'an unanswerable defence' of free trade. By 1855 Montefiore was a director of the Bank of Australasia, a committee member of the Chamber of Commerce in 1856 and a director of the New South Wales Marine Assurance Co. from 1857. In 1858 he arranged in London for Baron Rothschild to finance railway construction in the colony but Charles Cowper delayed in submitting the scheme to parliament. Montefiore was one of Sydney's foremost businessmen. He had become a magistrate in 1857, joined the Royal Sydney Yacht Squadron, and from 1863 was the Belgian Consul. Chairman of the Chamber of Commerce in 1866-69 and 1874-75, he led its campaign for extending electric telegraphs and for a Pacific mail service. 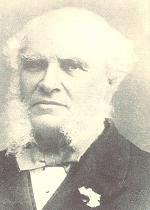 He was a founder of the City Bank and chairman in 1863-70, founding chairman of the Pacific Fire and Marine Insurance Co. formed with colonial capital in 1862, a director of the Sydney Exchange Co., the Australian Gaslight Co., the Moruya Silver Mining Co., the Tomago Coal Mining Co., the Glanmire Gold Mining Co. and the Northern Rivers' Sugar Co. 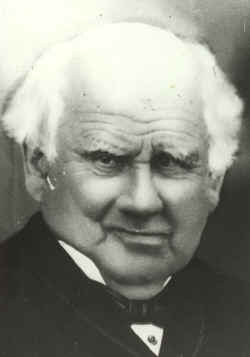 In the 1870s he was chairman of the New Wallsend Coal Co. and a director of the Mutual Life Association of Australasia. In 1862-65 he traded on his own and lived at Birchgrove House, Balmain, with his brother Octavius and a cousin Herbert, whose firm was Montefiore & Montefiore. In 1866 he joined them in Montefiores & Te Kloot but in 1867 with S. A. Joseph established Montefiore, Joseph & Co. In the 1870s they were agents for the Aberdeen Clipper Line. In 1864-72 Montefiore held 82,000 acres (33,185 ha) in the Leichhardt District and in 1870-82 Montefiore, Joseph & Co. held 135 sq. miles (350 km²) in the South Kennedy District. With J. R. Young and J. B. Rundle he held over 100 sq. miles (259 km²) on the Darling Downs. In 1864 Montefiore had addressed a public meeting in support of free trade and dissolution of the assembly over the fiscal policy. Next year he was president of the Free Trade Association. 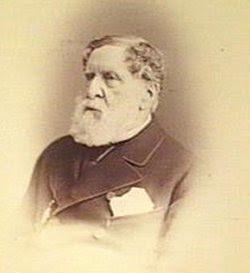 A director of the Sydney Sailors Home, he served on the commission to plan the public reception of the Duke of Edinburgh in 1867. He condemned Geoffrey Eagar, colonial treasurer, for ruining the colony's credit by mismanaging the sale of debentures. In 1869 he sat on the royal commission on alleged kidnapping of natives of the Loyalty Islands. Disgusted by the Opposition he nominated George King for East Sydney in the mercantile interest, a seat that Parkes was contesting. Montefiore told Parkes that they were unlikely ever to 'think alike in politics', but in the 1872 elections he decided to abstain from any political action and offered Parkes 'to aid the cause with my purse'. Later that year he visited North America and Europe. In October 1873 he advised Parkes not to appoint Edward Butler chief justice, fearful that 'giving to the Roman Catholics the majority on the Bench will raise all churchmen throughout the country'. In 1874 Montefiore was appointed to the Legislative Council on Parkes's recommendation but resigned in 1877. A member of the Jewish congregation from his arrival in the colony, Montefiore had advocated the claims of the Jewish community for a share in state aid to religion in 1845. In 1868 he secured official recognition by the Council of Education of the Sydney Hebrew Certified Denominational School despite opposition from James Martin. In 1876 he was a representative commissioner for Philadelphia and Melbourne Exhibitions. After a farewell banquet organized by the Chamber of Commerce and a 'handsome money testimonial', he returned to London. In London Montefiore was a director of the Queensland National Bank and the Queensland Investment and Land Mortgage Co. In 1878 he joined a syndicate that offered to lay a submarine cable between Java and Cape York, the profits to be divided between the syndicate and the New South Wales government. Despite repeated appeals to Parkes the government took the advice of Sir Daniel Cooper who rejected the plan as 'absurd' and too costly. Montefiore was also a member of the Australian Transcontinental Railway Syndicate which planned a railway from Roma to the Gulf of Carpentaria in return for a land grant of 10,000 acres (4047 ha) per mile (1.6 km). However, the railway bill, introduced by Thomas McIlwraith, was defeated in the Queensland parliament on its second reading in 1883. 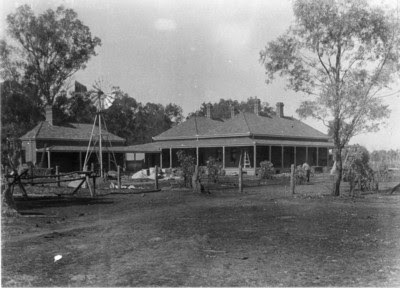 Montefiore repeatedly asked Parkes in vain to appoint him agent-general for New South Wales and advised Parkes to take advantage of cheap money and consolidate all 'the debts of New South Wales into a permanent funded stock'. In 1880 Montefiore served on the London Commission for the Sydney International Exhibition which he had promoted. A fellow of the Royal Colonial Institute from 1877, Montefiore missed 'that country of my adoption' but in 1881 wrote to Parkes that 'It may be you are right that I could have been more useful out there than I can be here but I am afraid that the callings of ambition are in some degree the prompters for here I am lost among the millions and to court public favour is rather too costly an experiment'. He died from heart disease at his home Keir Bank, Upper Norwood, on 24 January 1885, leaving his estate to his wife Caroline Antonine Gerardine Louyet, whom he had married in London on 9 July 1851." The Jewish Encyclopedia writes about Jacob Montefiore son of Eliezer Montefiore of Barbados. "Jacob Montefiore: Merchant; born in Bridgetown, England, Nov. 23, 1801; died Nov. 3, 1895. He entered into business with his brother Moses, and when in the early thirties the movement for the financing of Australian colonization from London was incepted Montefiore, who had been connected with the Colonial produce trade, became active in the various public schemes as a member of the South Australian Colonization Association, organized to settle South Australia on the Wakefield system. He was also appointed member of the first board of commissioners entrusted by the British government with the administration of the colony. He visited the colony in the year 1843 and again in 1854. His reception on his first visit by the governor, Sir George Grey, and the people was enthusiastic. During his visit to South Australia in 1843 he acted as an agent for the Rothschilds, at the same time holding a partnership with his brother Joseph Barrow in the firm of Montefiore Brothers of London and Sydney. The township of Montefiore, at the confluence of the Bell and MacQuarrie rivers, in Wellington Valley, was founded by the brothers, and they contributed actively to the establishment there of places of worship for all denominations. The organization of the Bank of Australasia was largely due to their efforts. In Adelaide there is a hill named after them. In 1885, at the request of the directors of the Art Union Gallery of Adelaide, Jacob sat for the artist B. S. Marks, the portrait being hung in that gallery." "MONTEFIORE, ELIEZER LEVI (1820-1894), businessman, etcher and gallery director, was born in the West Indies, son of Isaac Levi, merchant of Barbados and Brussels, and his wife Hanna, a cousin of the philanthropist, Sir Moses Montefiore. Like his brother Jacob, Eliezer adopted the name of Levi Montefiore. Educated in England, he migrated in 1843 to Adelaide where he became a commission and shipping agent. On 3 May 1848 in Adelaide he married his cousin Esther Hannah Barrow Montefiore. In 1853 Montefiore went to Melbourne as manager of the Victorian branch of J. B. Montefiore Graham & Co. but resigned and became secretary of the Australasian Insurance Co. Though appointed a justice of the peace he was mainly interested in literature and the arts. In 1861 he was a member of the committee to arrange a celebration for the 300th anniversary of Shakespeare's birth. In 1870 he helped to found the Victorian Academy of Art and on its behalf presented the prizes at the International Colonial Exhibition in Sydney. In February he became a trustee of the Melbourne Public Library, Museums and National Gallery but resigned early in 1871 and settled in Sydney. Montefiore managed the Pacific Fire and Marine Insurance Co. in 1871-91, but with T. S. Mort and other friends he formed the New South Wales Academy of Art. 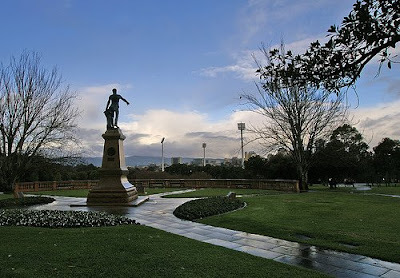 In 1874 he became one of the original trustees for administering the funds voted by parliament towards forming the National Art Gallery of New South Wales; it was opened on 22 September 1880. A talented black and white artist, Montefiore illustrated the catalogues of the gallery with his etchings of the principal pictures in 1883-93. Elected a member of the Royal Society of New South Wales in 1875, he contributed to its journal such essays as 'Etchings and Etchers' (1876) and 'Art Criticism' (1879). His 'Agnosticism among the poets' was published in the Sydney Quarterly Magazine, 1890. In 1889-91 he was president of the Board of Trustees and served as director of the gallery in 1892-94. In August he went to Melbourne and Adelaide to select pictures for exchange with the Sydney gallery. Soon afterwards he died at Woollahra on 22 October, aged 74, lamented by many friends, not only as a leading patron of the arts but also for his personality. Predeceased by his wife on 10 July 1882, he was survived by six daughters. A sculpture in marble by Theodora Cowan was placed in the Art Gallery of New South Wales in 1898. " "Claude Joseph Goldsmid Montefiore (1858 - 1938) was son of Nathaniel Montefiore, and the great nephew of Sir Moses Montefiore. Some identify him as a significant figure in the contexts of modern Jewish religious thought, Jewish-Christian relations, and Anglo-Jewish socio-politics. He was educated at Balliol College, Oxford, where he obtained a first class in the classical final examination, and where he came under the influence of Benjamin Jowett and T. H. Green. Intended originally for the ministry of the Reform congregation of England, he studied theology in Berlin, but finding himself unable to sympathize with the arrest of the Reform Movement, he devoted himself instead to scholarly and philanthropic pursuits. He nevertheless continued to be a spiritual teacher and preacher, though in a lay capacity, and published a volume of sermons, in conjunction with Israel Abrahams, entitled "Aspects of Judaism" (London, 1894). In 1886, he was selected by the Hibbert trustees to deliver the Hibbert course of lectures for 1892 ("The Origin of Religion as Illustrated by the Ancient Hebrews"). In these lectures, Montefiore made a permanent contribution to the science of theology. In 1896, he published the first volume of his "Bible for Home Reading," forming a commentary on the Bible with moral reflections from the standpoint of the "higher criticism"; the second volume appeared in 1899. In 1888 Montefiore founded and edited, in conjunction with Israel Abrahams, the "Jewish Quarterly Review", a journal that stood on the very highest level of contemporary Jewish scholarship, and in which numerous contributions from his pen have appeared. 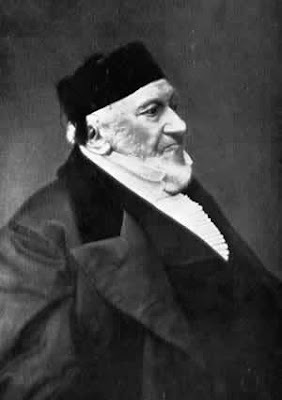 Among Jewish religious leaders, Montefiore was unusual for the time and energy he devoted to the study of Christianity. He provoked considerable controversy for what was perceived by many to be an overly sympathetic attitude towards Jesus and Paul of Tarsus. Inter alia, he wrote a two-volume commentary on the Synoptic gospels in the early part of the twentieth century, What A Jew Thinks about Jesus, published in 1935, and Judaism and St. Paul (1914). Montefiore was one of the leading authorities on questions of education; he was for some time a member of the School Board for London, and was (1904) president of the Froebel Society and the Jews' Infant School, London, and a member of numerous other educational bodies. Montefiore was mainly instrumental in enabling Jewish pupil teachers at elementary schools to enjoy the advantages of training in classes held for the purpose at the universities; he was on the council of Jews' College and of the Jewish Religious Education Board. He ranked as one of the leading philanthropists in the Anglo-Jewish community and held office in various important bodies. He was elected president of the Anglo-Jewish Association in 1895, and he was a prominent member of the Council of the Jewish Colonization Association. Montefiore showed great sympathy with all liberal tendencies in Jewish religious movements in London and was president of the Jewish Religious Union. He was president of the Jewish Historical Society in 1899-1900. He assisted Rev. Simeon Singer in preparing the standard Anglo-Jewish prayer book. This was acknowledged in the original preface, but his name was removed from the preface of the second edition. As a revered scholar, philanthropist and spiritual authority, Claude Montefiore belongs to that important group of learned laymen who have sought to revolutionise Judaism. He was a founder of British Liberal Judaism at the turn of the 20th Century, considered to be the most original Anglo-Jewish religious thinker of his day, and still remains a highly controversial figure. Montefiore infuriated his enemies and often alienated his supporters with his radical agenda in which he applied the findings of historical and literary analysis to the Jewish scriptures, attempted to radically systemise rabbinic thought, and by his desire to learn from and re-express aspects of Christian theology. The extent to which he incorporated the teachings of Jesus and Paul into his own ethical and theological musings makes him unique among Jewish reformers. In his dealings with Christians and Christian thought, he can also be regarded as a forerunner to those who would later fully partake in Jewish-Christian dialogue. Montefiore is an important figure in Anglo-Jewish history, not least for the way in which his complex identity reflects the difficulty inherent in attempting to make Judaism genuinely relevant to the modern world." HUGH MONTEFIORE was an outstanding pastor and intellectual leader and a man whose energy and humanity affected a generation of people in the Church. In some ways he might be seen as typical of 1960s liberal theology, but he was more profound than that might imply. He had a restless, inquiring mind and enormous energy which sometimes left other people exhausted. Nor were his interests narrowly ecclesiastical and he was a national pioneer on environmental issues. He was greatly appreciated as a teacher and tutor at Cambridge. Many undergraduates will have owed their faith, or a deeper understanding of their faith, to him. As a pastoral bishop he was supportive of his clergy, even if some found him rather formidable. He was a popular and effective member of the House of Bishops and the House of Lords, where he could always be relied on for serious theological thought and vigorous oratory. He would have made an excellent life peer in retirement. But the political ethos was probably against it. Hugh William Montefiore was born in 1920 in London of a long line of distinguished Anglo-Jewish forebears. His conversion to Christianity while at Rugby School was sudden. “In the morning I was a Jew and by the evening I had become a Christian as well,” he later wrote. He was able to use this conversion to commend his faith, but not in a way that was alienating of his ancestry in the distinguished Sebag-Montefiore family. His time at St John’s College, Oxford, was interrupted by military service in India and Burma, but he returned in 1946 to take a first in theology and the Liddon studentship. From Westcott House, Cambridge, he went to a curacy at St George’s Jesmond, in the diocese of Newcastle. He was, however, soon recalled to Cambridge. He taught as vice-principal of Westcott House and in 1953 was elected fellow and dean of Gonville and Caius College. In the college he enhanced the already strong current of religious life. Honesty of mind, enthusiasm and wide learning were qualities which appealed to the men. He was able to communicate his own reverence and ecumenical views to the college as a whole, and his adaptation of the Holy Communion was a breakthrough in communication. His contribution to Alec Vidler’s Soundings (1962) was a wise and moderate statement on Christology. This was followed by a learned commentary on Hebrews in 1963. A university lectureship in New Testament proved exacting. Perhaps in this period he was attempting too much, but in the end he had the wisdom to concentrate on the work of a prophetic church leader, abandoning the specialist research expected of an academic figure. He became Canon Theologian of Coventry Cathedral in 1959, and in 1963 was invited to succeed Joseph Fison (who had been appointed Bishop of Salisbury) as vicar of Great St. Mary’s, Cambridge. This key post he filled with distinction. He maintained the tradition established by Mervyn Stockwood of the university church as a forum for new theological thinking and insights, and added a particular pastoral urgency of his own. Distinguished men and women in all walks of life spoke to crowded congregations at Sunday evening services. He showed how the Church was everywhere and for all, from the Beat Service to the solemn moments of the Communion. Cambridge found his ministry a talking-point, giving him love and sometimes also laughter. On more than one occasion he allowed his zeal for truth and justice to lead him headlong into utterances from which discretion — perhaps also common sense — would have held him back. He aroused much indignation by a speculation at the Modern Churchmen’s Conference in 1967 to the effect that Jesus might have been “homosexual in nature” (he did not say “in practice”). Fortunately for the Church of England, however, he was not thereby barred from promotion. He was consecrated Suffragan Bishop of Kingston in 1970, to work in the South London diocese over which Mervyn Stockwood presided. Although he continued to be outspoken, his reputation as a thinker and worker continued to grow so that an appointment to a diocesan bishopric became (despite public protests and private pressures from conservatives) almost inevitable. He added to the routine labours of a suffragan bishop in the parishes an astonishing number of excursions into wider fields. He was, for example, chairman of an independent commission on transport, and drove this team into producing a 364-page report, Changing Directions (1974). In 1976 he chaired an inquiry into nuclear energy, sponsored by the British Council of Churches. Here again he united a miscellaneous group of scientists and crusaders, with other experts and observers, by his intellectual and moral energy. Few men in the country could have done it. His most controversial stand was against Concorde, made partly because Heathrow was in the area for which he had pastoral responsibility but also because the noisy, wasteful and economically nonsensical aircraft was a symbol of all that he and his colleagues in the environment lobby abhorred. He somehow found time to remain a theologian. In a time of general gloom he united all his roles in some apocalyptic lectures in Belfast, published as The Question Mark; the question was whether mankind had a future. But he also edited a quieter report, Man and Nature, as part of his contribution as a member of the Doctrine Commission. His collection of essays from the Kingston years, Taking Our Past into our Future, included several learned essays on specifically religious topics. He threw himself into the work awaiting him at Birmingham. He was temperamentally suited to give a lead in industrial and racial problems, being himself a self-confident aristocrat possessed of private means but also one who, by identifying himself with Christianity, had chosen, with Christ, the side of the poor and the despised. His brilliant gifts and restless inquiries alarmed some of the clergy and churchgoers, but they, too, recognised that his mind and heart were fully dedicated to the service of God and of humanity in England’s second city. In national church affairs he remained a prominent radical. In 1978 he was chosen to lead the advocacy of the ordination of women to the priesthood in the debate in the General Synod, and his farewell speech on his resignation in 1987 (when his diocese gave him a spectacularly affectionate send-off) had the same theme. His mediating intervention in the debate on the report on The Church and the Bomb was decisive, and not long after his appointment as chairman of the General Synod’s Board for Social Responsibility began a period of wise comment on many current controversies. Even in this period of intense labour his output as a scholar continued. He collected some of his New Testament studies, showing his determination to relate a precise treatment of the Bible to society’s current concerns; he wrote a book on the problems in reconciliation with the Vatican, So Near and Yet So Far (1986); and in consultation with scientists he achieved an intellectually respectable synthesis of belief in the Creator with acceptance of a “guided” evolution in The Probability of God (1985). He continued to be concerned with giving a rational account of the Christian faith. His short course for confirmation candidates was used by many clergy. He expressed his faith clearly in Credible Christianity (1994) and had some autobiographical reflections in On being a Jewish Christian (1998). He was also fascinated by the psychic and the paranormal, and his last book examining New Testament miracles (published this year) reflected this interest. In 1945 he married Elizabeth Paton, a daughter of the ecumenical pioneer Dr William Paton. She was a theologian in her own right and at one time a member of the Church of England Liturgical Commission. He resigned from Birmingham at the age of 67, though still active, partly because she developed Alzheimer’s disease, and his retirement until her death in 1999 was spent to a great extent caring for her. He is survived by three daughters. 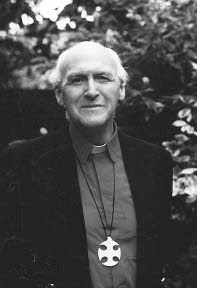 The Right Rev Hugh Montefiore, Bishop of Birmingham, 1978-87, was born on May 12, 1920. He died on May 13, 2005, aged 85." This article is in the Scribe- the Journal of Babylonian Jewry connected to Zaccaria Levy husband of Susannah Simcha Chana Montefiore. "Scribe: On 5 May 1957 the New York Times published the foIlowing report: Two hundred israeli Jews are now locked in a bitter legal struggle with the Bank of England, and other British banks over a fabulous $392,000,000 inheritance. 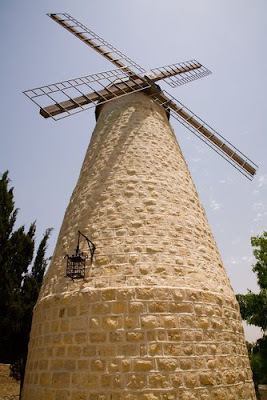 The affair began in Baghdad in 1816,when two brothers Elazar and Shimon Levy, decided to expand their junk-dealing business by opening a branch in neighbouring Persia. One day, while sorting out the junk they bought in a small Persian city they came upon an old cracked earthenware keme. When it was dropped accidentally, thousands of precious gems spilled out on the dirty floor. Fearing the authorities would confiscate the jewels, they decided to take the jewels to Britain. which they did, setting them in London and investing the money in stocks and shares and in banks. They became millionaires and returned to Baghdad.- There was a flurry of excitement in the Press when Princess Anne, divorced daughter of Queen Elizabeth, was married to Tim Laurence last December. Commander Laurence is a descendant of Zaccaria Laurence who changed his name from Zaccaria Levy, indicating a possible link with the Levy brothers of the above story. Zaccaria Levy was married to Simcha Anna, daughter of Moses Haim Montefiore, at the Spanish and Portuguese Synagogue in London on 10 October 1787. The witnesses were Mordecai Shalom and Daniel Itakham Cohen de Azevedo. We understand that Ruth Montefiore received a reply last January from the Bank of England that there was a distribution in 1856 and the case would not be reopened unless it can be shown that other heirs were involved. We intend to punish a comprehensive family tree of the Elazar Levy descendants..."
"...Ellis Montefiore Joseph was born in Liverpool in 1802, the son of Joseph Joseph (1762-1812) and Rebecca Montefiore (1773-1859), who had married at Canonbury House, near London, in 1799. Rebecca was the aunt of Sir Moses Montefiore (1784-1885), while Joseph was son of Simon Joseph (1722-1808), the head of the entire Liverpool Jewish community in the late 18th century. Therefore, Ellis was from the elite of Anglo-Jewry. And paid them a deal of attention. To say there wasn't a seat." Ellis lived with Maurice and their other surviving brother, Joseph, in the Dingle district of Liverpool. Curiously, all three brothers died in quick succession and are buried in adjacent plots. Their mother possesses one of the most impressive tombs at Deane Road..."
Note: The information here comes from many sources and relies on those sources for accuracy. 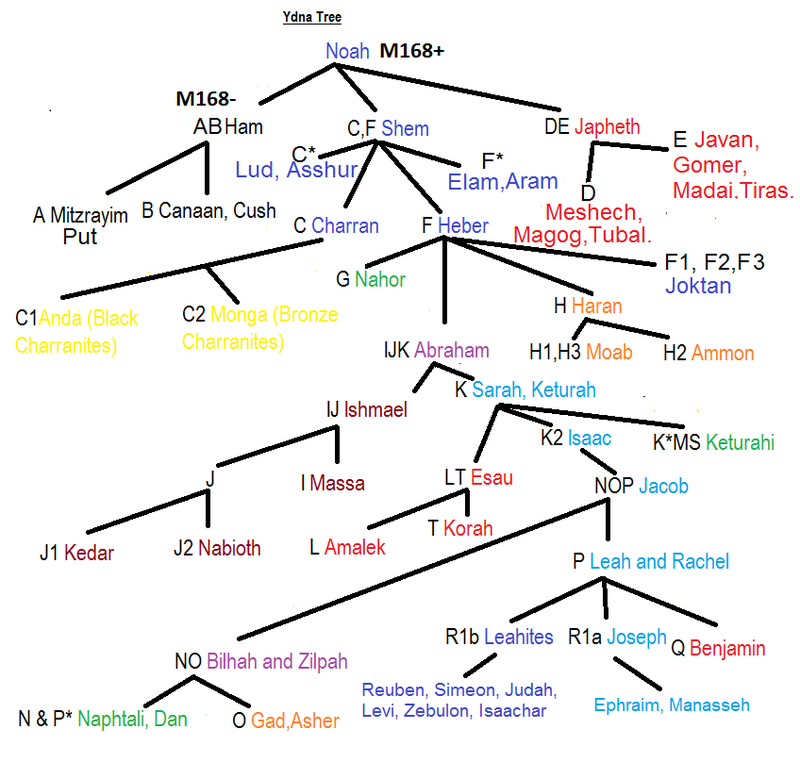 There is some differences in genealogies from different sources due to similiar names. 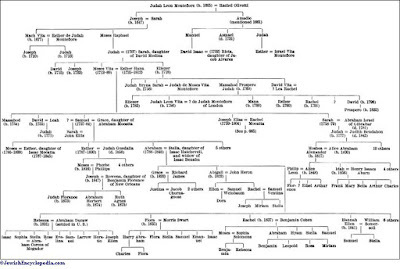 Note 2 (added 2014): Some recent researchers have written that John Castello Montefiore was not the son of Eliezer Montefiore and Judith Barrow but either the son of Eliezer's sister Rachel Montefiore who married Joseph Moses Castello Coronel or his sister Esther Montefiore who married Jacob Castello Coronel Nunes. This is also true for John Castello Montefiore's older sister Sarah Montefiore. These researchers also state that John was born in 1794 rather than 1790 however this conflicts with his baptismal record which states he was baptised in 1810 when he was 20 years old. These researchers also state that Judith who was the wife of Eliezer Montefiore was not Judith Barrow b.1765 to Joseph Barrow and Hannah Brandon but her cousin Judith Levi the daughter of Joseph Levi and Eve Barrow. However it is possible that Eliezer firstly married Judith Barrow b.1765 and she could be the mother of John and Sarah (and some others) and then after Judith Barrow's death married her cousin Judith Levi in 1797 who was the mother of his younger children.